Moving isn’t easy. Cardboard boxes overflow with books and plates and picture frames. Clothes—the clean and the dirty together, you don’t discriminate—are shoved into garbage bags. The friend who promised to help in exchange for pizza and drinks arrives late so boxes and bags are chucked into the back of her truck. Nightstands and your pleather office chair are lifted or wheeled and abandoned next to the nearest dumpster because the new apartment is furnished, but it’s not until you drop that last box of textbooks (which you’ll never actually read again, stop kidding yourself) onto the floor of your new living room that you realize “furnished” means you’ve been gifted a canted desk, a lamp with a shade that is somehow covered in stains from only-God-knows-what, and a twin mattress that doesn’t fit its frame. Exhausted, you flop onto your new bed, but you won’t sleep because the neighbor above you must be on a cockroach-killing rampage—he won’t stop stomping—while the neighbor on the other side of your new bedroom’s wall thinks, “It’s, like, totally chill, bro” to play a vinyl of Bob Marley’s greatest hits until three in the morning. Most college students experience the hassle of moving, but the late friend, the heavy boxes, the imperfect furniture, and the noisy neighbors are mere inconveniences relative to the additional trials international students face. Consider the experience of Yangqing Dou, an alumna of Mississippi State University. When Dou left Xi’an, the capital city of China’s Shaanxi province, she already had earned a post-secondary engineering degree, yet her first week in Starkville doesn’t typify the post-graduate lifestyle some undergraduate engineers might dream of; she didn’t move into a lavish apartment or drive a luxury car—she spent her first days alone in an unfamiliar town, and at night she slept on her floor because she didn’t know where to purchase a mattress. But Dou and Lin didn’t let their materially-barren beginnings at Mississippi State University eschew their academic pursuits: Dou went from sleeping on her floor to earning her PhD in aerospace engineering while serving as a president of Mississippi State University’s Chinese Students and Scholars Association, and Lin graduated with engineering and computer science degrees. 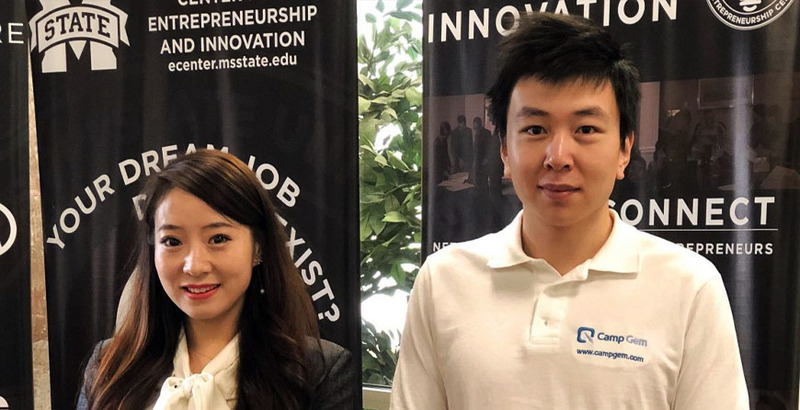 Whereas a lot of students are (rightly) proud of earning a degree in engineering or computer science, Dou and Lin aren’t content to focus on themselves; they want to ease the oftentimes tumultuous and daunting transition from life as an international student to life as a student who feels at home in Starkville, so Dou and Lin created CampGem. CampGem is a website designed to help international students find and purchase essential goods and services. The idea started when Dou and Lin realized international students didn’t know what to do with their furniture after graduation. Initially Dou and Lin asked students to donate their stuff to the Chinese Students and Scholars Association, but the pair quickly realized they could do so much more for international students. They wanted to help the graduating students get rid of their furniture, but they also felt an obligation to help incoming and matriculating students obtain everything from a place to live to good food and gym memberships. Dou and Lin recognized services like Yelp and Google provide information about local businesses, but these services don’t cater specifically to international students. As international students, they wanted to design a resource that viewed international students as its primary users. Dou believes this kind of resource would have helped her when she arrived in Starkville. “I wish someone had built this website for us,” she says.  They wanted help launching CampGem, so Lin scheduled a meeting with Eric Hill, the Director of Entrepreneurship for Mississippi State University’s Center for Entrepreneurship and Outreach. Since they initially pitched the idea to Hill, Dou and Lin have joined the E-Center’s VentureCatalyst program, and CampGem was awarded funding by members of the Peer Review Entrepreneurship Panel (PREP) and the Entrepreneurship Center Advisory Board (ECAB). Dou and Lin are currently working toward refining CampGem before they submit its business plan to the Investment Review Council (IRC). Just as the E-Center helped launch CampGem, CampGem has been helping international students launch their academic careers at Mississippi State University. CampGem can’t give international students impressive degrees like those held by Dou and Lin; however, it helps students who—like Dou and Lin—arrive with little else than luggage and the will to learn.